Sing Your Way Through Phonics products are strongly supported by educational research. Studies listed below suggest that music can be an especially effective tool for developing reading and writing skills. The power of song can help students retain and internalize important letter/sound relationships, spelling patterns, and phonics rules. In addition, music can be an vitally useful portal for reaching at-risk students who have difficulty learning basic literacy skills through more traditional means. Anvari, S. H., Trainor, L. J., Woodside, J., & Levy, B. A. (2002). Relations between musical skills, phonological processing, and early reading ability in preschool students. Journal of Experimental Child Psychology 83: 2, 111-130. Balkin, A. (1999). Music and literacy: A partnership. Massachusetts Music News. Campbell, R. & Campbell, F. (1996). Cited in You can raise your child’s IQ. Keister, E, Jr. & Keister, S. V. Readers Digest. October 1996. Feazell, V. S. (2004). Reading acceleration program: A school-wide intervention. Reading Teacher 58: 1, 66-72. Fisher, D. & McDonald, N. (2001). The intersection between music and early literacy instruction: Listening to literacy! Reading Improvement 38: 3, 106-115. Fisher, D., McDonald, N., & Strickland, J. (2001). Early literacy development: A sound practice. General Music Today 14: 3, 15-20. Hansen, D. & Bernstorf, E. (2002). Linking music learning to reading instruction. Music Educators Journal 88:5, 17-21. Jalongo, M. R. & Ribblett, D. M. (1997). Using song picture books to support emergent literacy. Childhood Education 74: 1, 15-22. Kolb, G. R. (1996). Read with a beat: Developing literacy through music and song (Teaching reading). Reading Teacher 50: 1, 76-77. Langfit, D. (1994). Integrating music, reading, and writing at the primary level. Reading Teacher 47: 5, 430-431. Lems, K. (2002). Music hath charms for literacy. Indiana Reading Journal 34:3, 6-12. Masterson, K. (1995). With a simple tune, students improve in school. Online. Available: http://www.edu-cyberpg.com/culdesac/ReadingModule/Munro.html. Smith, J. A. (2000). Singing and songwriting support early literacy instruction. Reading Teacher 53: 8, 646-649. Turner-Bisset, R. (2001). Serving-maids and literacy: An approach to teaching literacy through history and music. Reading 35: 1, 27-31. Woods, C. S. (2003). 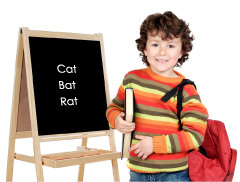 Phonemic awareness: A crucial bridge to reading. Montessori Life 15: 2, 37-39.